Thessaloniki is called the second capital by the Greeks, since it is not only the second largest city of Greece after Athens, but also the capital of Northern Greece and Macedonia. It is beautifully situated by the sea, and there are also many interesting places in the city and its surrounding areas that you can visit. Thessaloniki is home also of some of the most famous sport unions and football clubs like PAOK, Aris and Heracles. Thessaloniki has 2 national range TV stations, the Greek state television channel 3 and Macedonia. The university of Thessaloniki is the second largest of Greece therefore the city is has a large number of students from all over Greece. Every year during the International Thessaloniki Expo is held the festival of Greek music and the film festival of Thessaloniki. The city has many industries that most of them located at the area of Sindos. Thessaloniki is a great place to spend some time in all year around, and even though it is a very big city, it is not as polluted as Athens. The fresh sea breeze is almost always there, and taking a walk in its harbour you get a nice view of the town and the sea. 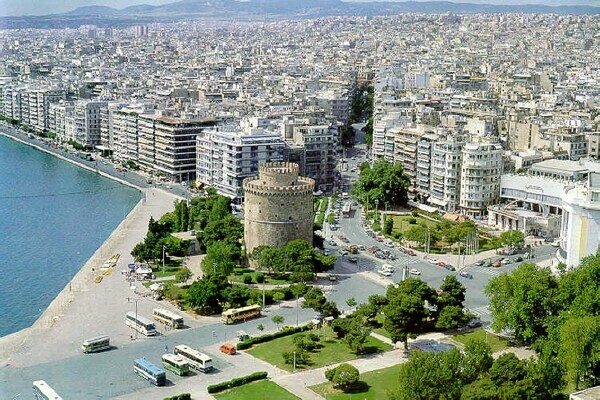 History Thessaloniki was the sister of Alexander the Great. She was marriedto a man named Kassandros, and it was also he who founded the city in 315BC. Before that, there was a much older settlement here called Therme.